Pre-Order ‘The Lost Tapes’ Now!! It’s a good thing that Ghostface is a man of the people! 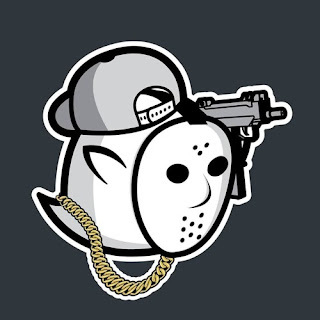 Wu-Tang Clan’s own Ghostface Killah will release his new studio album, The Lost Tapes, alongside legendary underground producer Big Ghost on 10-5-18. The collective goal was to bring fans back to the Ironman/Supreme Clientele/Cuban Linx Era sound. Both Ghost’s set out to revive that feeling, update it for 2018 and create another certified Wu-Tang Banger! The Lost Tapes also features an All-Star Line-Up including; Snoop Dogg, E-40, Big Daddy Kane, Raekwon, Masta Killa, Cappadonna Killah Priest, Sheek Louch, Ras Kass, Michael Rapaport and more. Unlike any previously released Ghostface Killah or Wu-Tang album, The Lost Tapes will be receiving the “LIMITED EDITION” physical format treatment courtesy of M-Eighty’s Holy Toledo Productions imprint and the UK’s own Daupe! Media. Fans of Daupe! Media will soon be able to purchase the album in Vinyl, CD and Cassette format while starting today Holy Toledo Productions via www.ghostfacelosttapes.com will be offering Pre-Orders for the first 1,000 CD’s all to be included with an autographed poster from Ghostface himself, a bonus EP and more! On 10-5-18, Independent mainstay Cleopatra/X-Ray Records will be releasing The Lost Tapes on all digital platforms.